If you have a piece of furniture that is looking old and tired, but you aren’t ready to part with it, you might want to consider a slipcover. 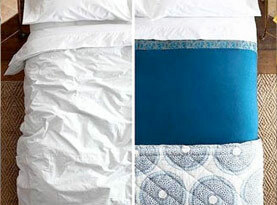 Slipcovers are a great way to give your furniture a face lift without completely reupholstering the piece. Designs & Interiors by the Upholstery Shop is here to walk you through how best to choose the right slipcover for your furniture. Slipcovers come in many shapes and sizes. 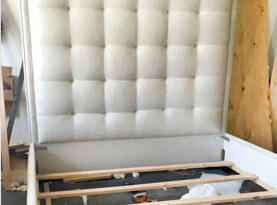 Before you do anything, you need to choose the right size for the furniture piece you are trying to cover. Measure the furniture you are choosing the slipcover for and be sure you are selecting a slipcover that will fit snug around your furniture. You also need to consider what look you are going for. If you don’t want a really tailored look, and don’t mind a looser fit, you don’t need the measurements to be exact. You may be buying a slipcover to simply offer protection for your piece. When you are looking for a slipcover that will fit snug and look like the furniture has been upholstered rather than covered, you should consider having a custom slipcover made. When you go that route, you can rest assured the slipcover will fit your furniture exactly and won’t have any areas that are slouchy or sloppy. As a general rule, when you are choosing fabric, the more comfortable the fabric, the less durable it will be. If you are looking for fabric that will last for an extended period of time, you may want to look at fabrics that are woven tighter and have a coarser feel to it. This type of fabric will more than likely have some synthetic properties to it and will hold up well. 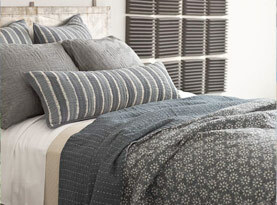 If you are looking for fabric that is made from natural fibers, it will most likely be softer and more cozy. However, you can count on this fabric not lasting as long. The best of both worlds includes a fabric that has a mix of natural and synthetic materials. You will have a comfortable feel and the fabric will be long lasting. If you have pets or small children, you may want to steer clear of fabrics that are particularly light in color. You don’t want to have a beautiful custom slipcover made, just to regret the color you chose. Darker neutrals are great options for homes with children and pets. The beauty of working with Design & Interiors by the Upholstery Shop when choosing your slipcover is the customizable slip covers we offer. You don’t have to worry about your slipcover looking tired and baggy. 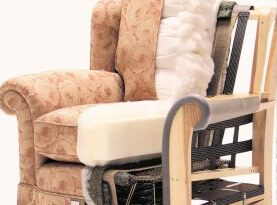 We will fit the slipcover to your piece of furniture specifically, giving an old piece the breath of fresh air it needs. Call us today.